Portugal has been burning every summer in recent decades. Year after year, the catastrophe returns, blazing thousands of acres of forest across the country. Although violent, fires in recent years have rarely caused fatalities. 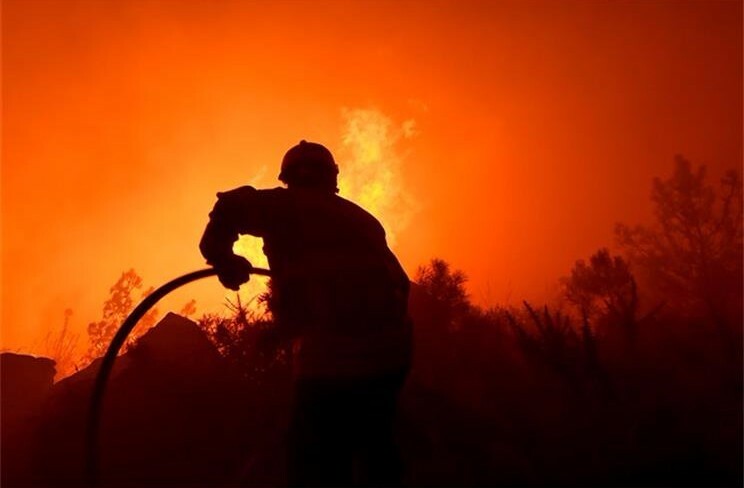 However, the tragedy of the enormous fire in central Portugal this weekend has gained unprecedented proportions: the death toll stands at 64 with 157 wounded. Given the scale of forest fires in the country, the warnings that such a calamity could result in human victims of this magnitude were there, but successive governments chose to ignore it. According to a study of the University of Vila Real, between 2000 and 2013 more than 50% of the fires registered in Europe took place in Portugal. Last year it happened again: more than half of the area burned on the European continent was in Portugal. Last week’s tragedy, like most other fires, occurred in the isolated and abandoned Portuguese interior. The severe fire and its ability to spread rapidly was, therefore, to a large extent the result of the abandonment of rural areas and the depopulation of the interior as well as a lack of maintenance of the forest environment. Climate change and the unprecedented extreme temperatures that have plagued the country have been used to justify the catastrophe. Excessive heat and prolonged periods of drought certainly contribute to outbreaks of forest fires, but can not be the only explanations. If Portugal has a climate similar to other countries in southern Europe, why do fires there have a more devastating impact? There are several factors behind this. On one hand, Portugal has the largest area of planted ​​eucalyptus in Europe. Despite its relative small size, the Atlantic country competes in terms of eucalyptus area with countries of much larger size such as Brazil, China and Australia. In total, about 26% of Portuguese forest area is eucalyptus, a non-autochthonous and highly inflammable tree, susceptible to forest fires. At the same time, the powerful paper industry, responsible for planting eucalyptus trees, benefits from public policies that protect their business and boosts theirs profits rather than protecting the country’s environment and sustainability. At the same time, there are numerous failures regarding fire prevention and combat. The lack of strict regulation from central and local government in the implementation and organisation of forests is compounded by the reduction in resources devoted to this matter arising from the budget cuts of recent years of austerity. It is urgent, therefore, to adjust public policies for forest management in Portugal, opting for a sustainable model and placing emphasis on prevention methods. Otherwise such disastrous catastrophes are likely to increase in frequency.